AUGUSTA, Maine — Gov. 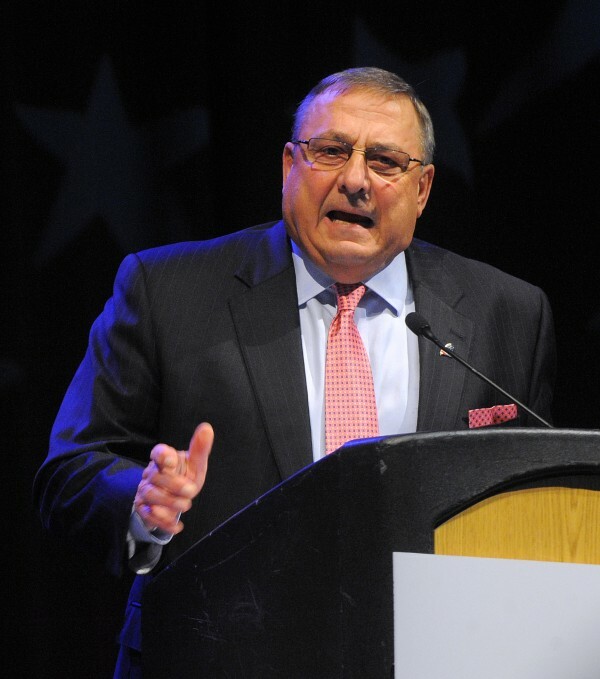 Paul LePage will meet legislative leaders to discuss what action the state may take against the Alexander Group in the wake of allegations the Rhode Island consultant plagiarized its recent report on reforming Maine’s welfare system. Peter Steele, the governor’s communications director, said Thursday that LePage would meet with the top Democratic lawmakers, House Speaker Mark Eves and Senate President Justin Alfond, though the meeting likely won’t take place until at least June 12. In a letter sent Wednesday evening, Eves and Alfond requested to meet with the governor sooner, but LePage will be away on a trade mission to Iceland during the times suggested by the Democratic leaders. Top Republicans in the House and Senate also will be invited. In the letter, Alfond and Eves took exception to LePage’s stance that legislative leaders have no role to play in deciding what happens to the Alexander Group, which in September was awarded a $925,000 no-bid contract to produce several reports regarding Maine’s anti-poverty programs. It’s been two weeks since the Bangor Daily News first revealed that sections of the Alexander Group’s recent report on Maine welfare reform contained entire passages seemingly lifted from others’ work. Further claims of plagiarism have been made since, but the consulting group’s leader, Gary Alexander, has maintained the problem is one of flawed attribution, not ethics. LePage has suspended any further payments to the group and has said further action — up to terminating the contract — could be taken after a review of the document. Democrats, who have long criticized Alexander as a political actor, not an objective analyst, have demanded the contract be canceled and the consultant be made to give back the more than $500,000 it’s already received from the state. However, concerns about a lack of performance guarantees in the contract have raised doubts about whether the state could recoup the money. Eves said Thursday that he was pleased LePage had agreed to meet, and legislative staff are working with the governor’s office to schedule a meeting time. He said his goal is to hear what options are on the table. During a news conference Tuesday, LePage said that on first glance, he thought “the contract was poor quality,” but that he thought the ideas in the report were good. He did not address, however, whether they were original ideas, what other actions may be taken or what criteria he will use in deciding whether to cancel the contract. Adrienne Bennett, LePage’s spokeswoman, said Thursday that the governor had met with DHHS Commissioner Mary Mayhew to discuss Alexander’s work and contract, and the administration had purchased and used anti-plagiarism software to examine Alexander’s work. Bennett said that more information will be made available after the administration has made a decision. The plagiarism scandal has even reached Washington, D.C., where Republican budget leaders on Monday rescinded an invitation for Alexander to speak to the House Budget Committee about the War on Poverty and efforts to reform federal aid.